We’re only three days into the January transfer window and China has already made two blockbuster signings. 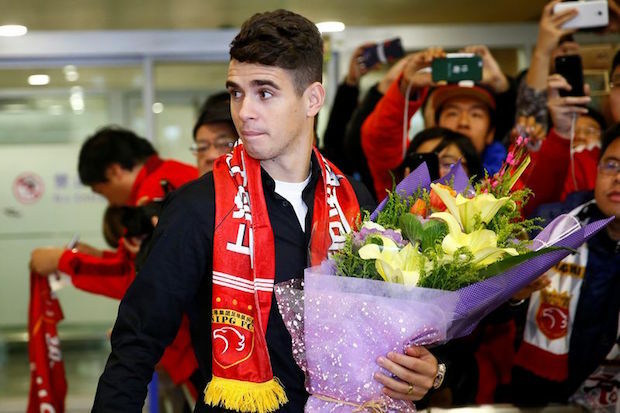 Chelsea midfielder Oscar moved to Shanghai SIPG for £60 million after failing to work his way into Antonio Conte’s plans. Former Manchester United/City and Juventus striker Carlos Tevez left his boyhood club Boca Juniors to join Shanghai Shenhua where he will earn a reported weekly wage of £615,000 (nearly £32 million annually). These ludicrously expensive deals are nothing new for the Chinese Super League, and I don’t think that we’re going to see the end of them anytime soon. Over the last year, we’ve seen several high profile players make their way to China. Some of those players included struggling and declining stars such as Ramires, Jackson Martinez, Paulinho and Demba Ba. Others were once players that once looked set to make the jump to a bigger European stage like Alex Teixeira and Hulk. This influx of big-name talents, some of which are past their primes, feels reminiscent of what Major League Soccer has been trying to do for the last couple of years, but with an exponentially larger amount of money funding it. Just to quickly compare the two burgeoning leagues, out of the 127 player arrivals MLS had during the 16/17 season, the total cost didn’t even surpass £22 million. On the other hand, the top ten transfers alone in China cost more than £268 million. One of the main reasons for this disparity in spending has to come down to the lack of a salary cap in China. The highest paid player in the MLS is a 34-year-old Kaka who is making just over $7 million a year with Orlando City. Carlos Tevez would make that in just about 10 weeks. As much as we would like to believe that money doesn’t affect a player’s desired destination, it would be hard for anyone to turn down the paychecks being offered in China. One of the seemingly rare occasions where someone turned down this mega-millions payday was Cristiano Ronaldo. His agent confirmed that a Chinese club offered Real Madrid more than £250 million, and CR7 nearly £100 million a year to leave Europe. This type of monstrous offer wouldn’t even be joked about stateside. No club in MLS has anywhere near the financial ability, even if there wasn’t a salary cap, to come anywhere close to matching China’s offer. You have to wonder if this ridiculous spending from China had started earlier, what designated players in MLS would have changed their career paths. Another big question that has to be asked about this astronomical spending is whether or not it’s actually sustainable. 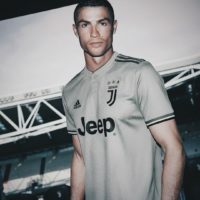 It’s been tried at the club level with teams like Anzhi Makhachkala and briefly AS Monaco, and both of them quickly realized that they couldn’t afford to keep throwing money at every player for more than two or three seasons. I think one thing that is working in China’s favor when it comes to sustainability is the government backing the sport is receiving. The country’s president Xi Jinping has encouraged monetary investment from public and private donors, and broadcasting rights have continued to grow in value. The latest deal is reported to be worth £1 billion over the next five seasons. That’s an increase of more than £990 million from the 2015 season. In my personal opinion, and as an American, I can’t really say that I’m a big fan of this because of the harm that it could cause to Major League Soccer, but who am I to get mad at players for trying to get the most out of this game while they can. Sure, some of them are probably abandoning a rewarding career in Europe, but players like Tevez have already won all there is to win and that type of paycheck is too good to turn down.